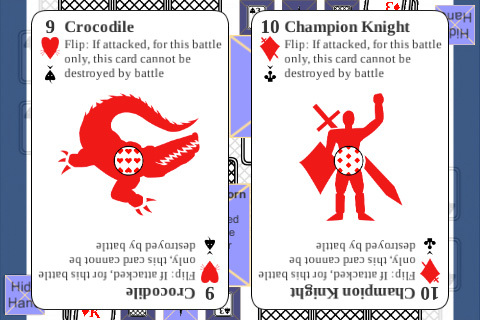 As shown in the screenshot, large versions of attacking and defending cards are now shown. It shows all details like the power, name and description. What’s next: back to play testing and bug testing. Adding some other bells and whistles would be nice too.